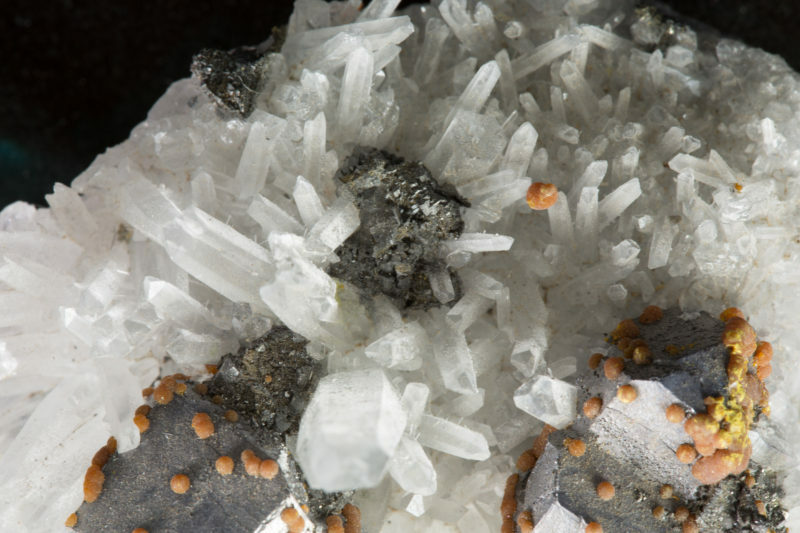 This is a cluster of tapered Quartz crystals with well formed Galena and sprinkled with botryoidal Orpiment. 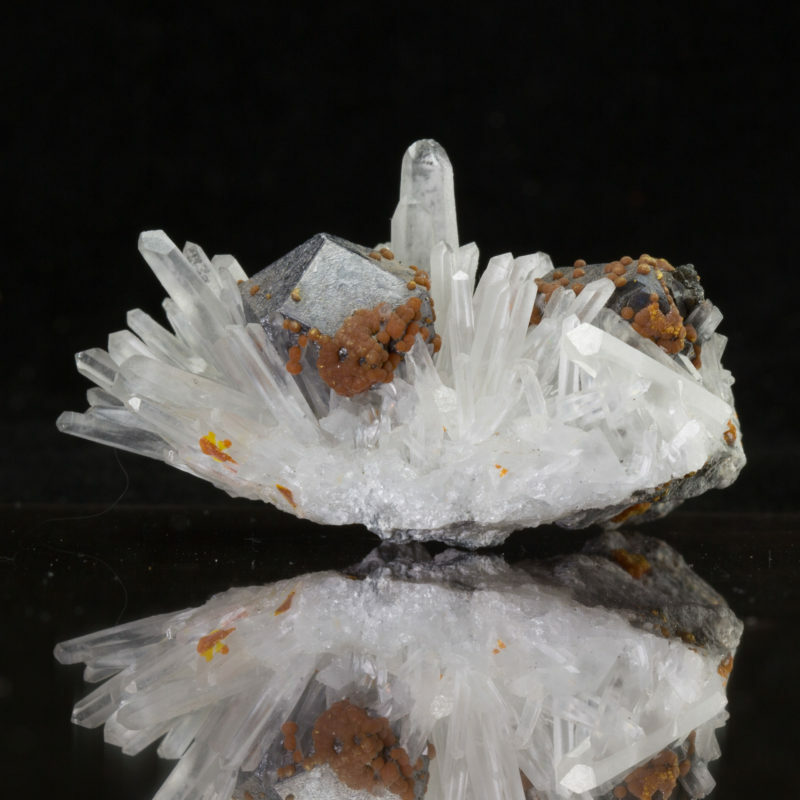 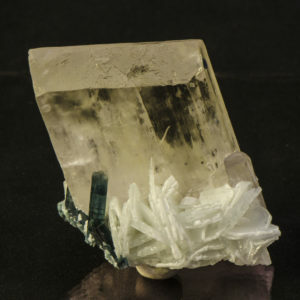 The Orpiment mostly sits on the Galena although there is one ball perched on the tips of the Quartz. 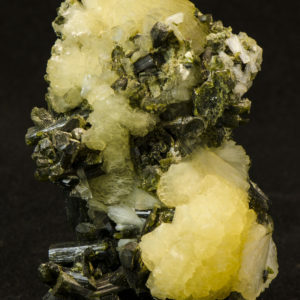 Pyrite pyrite is present. 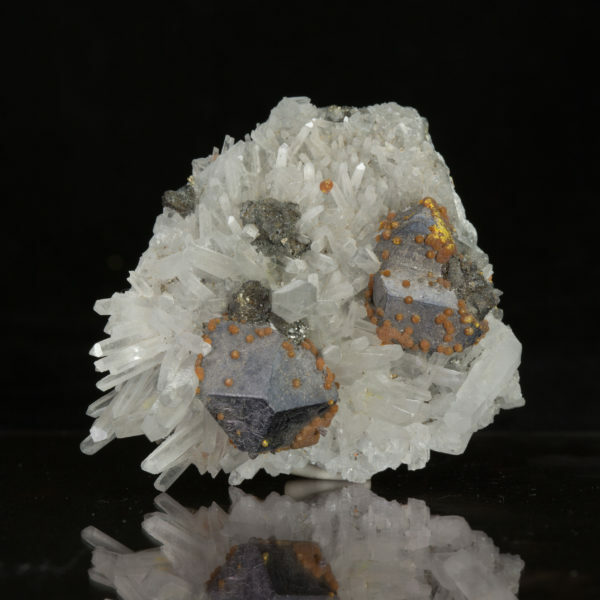 This specimen is a nice example of this locality.